Our Children’s Vocation Worksheets are used by hundreds of parishes and schools. We’ve now created a FREE version for World Day of Prayer for Vocations. Helps kids pray for people they know – priests, brothers, sisters, and married people. Includes a simple lesson plan for teachers on the back page. Provide your email address and we’ll send you a free high-resolution image that you can print and photocopy for your students. 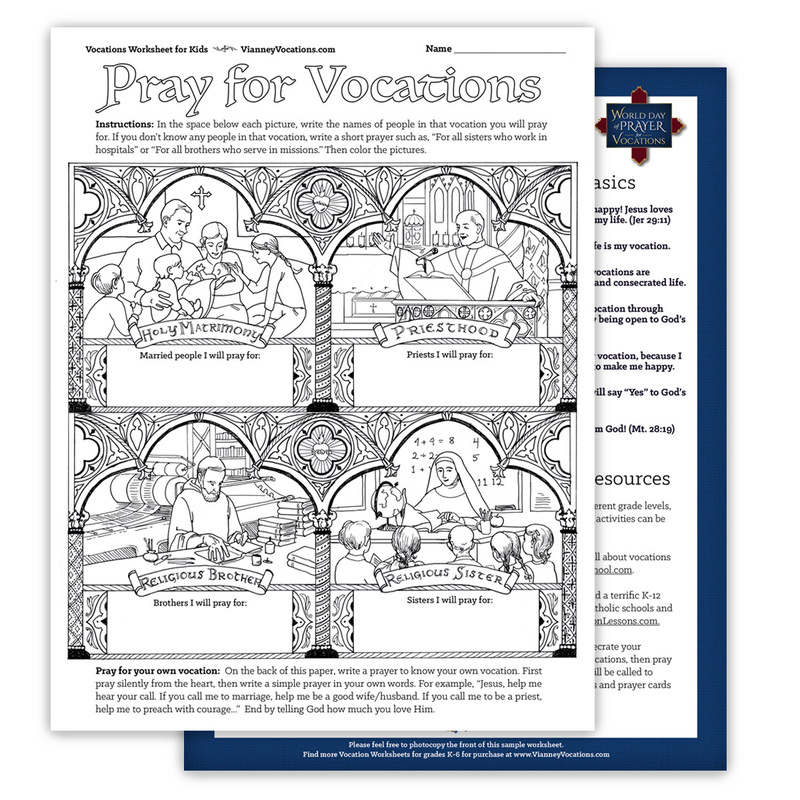 Want to purchase more Vocation Worksheets? See a selection here.